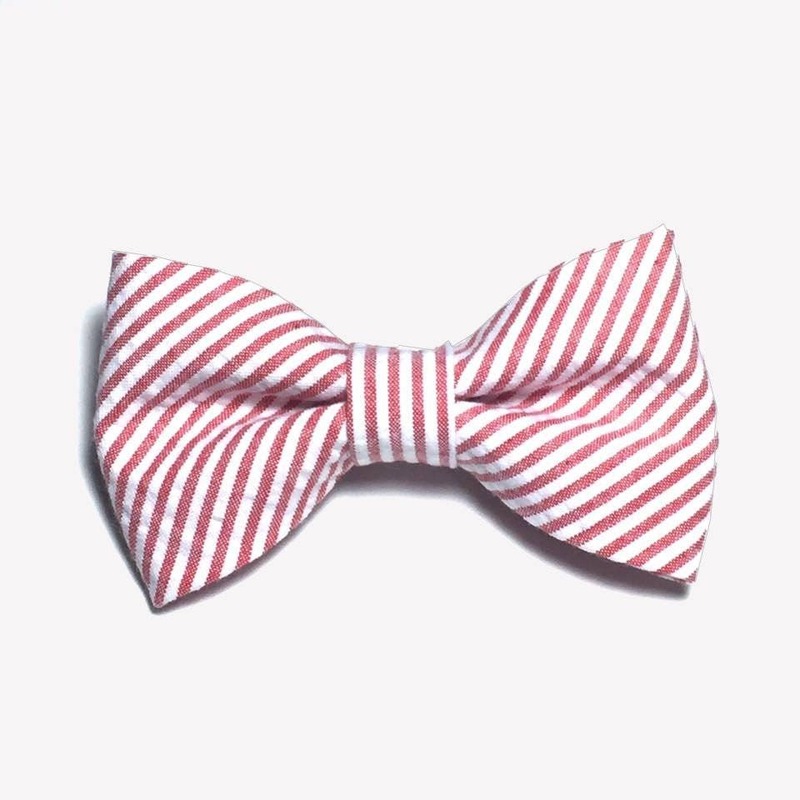 Red and white striped bow tie handmade on a cotton fabric. 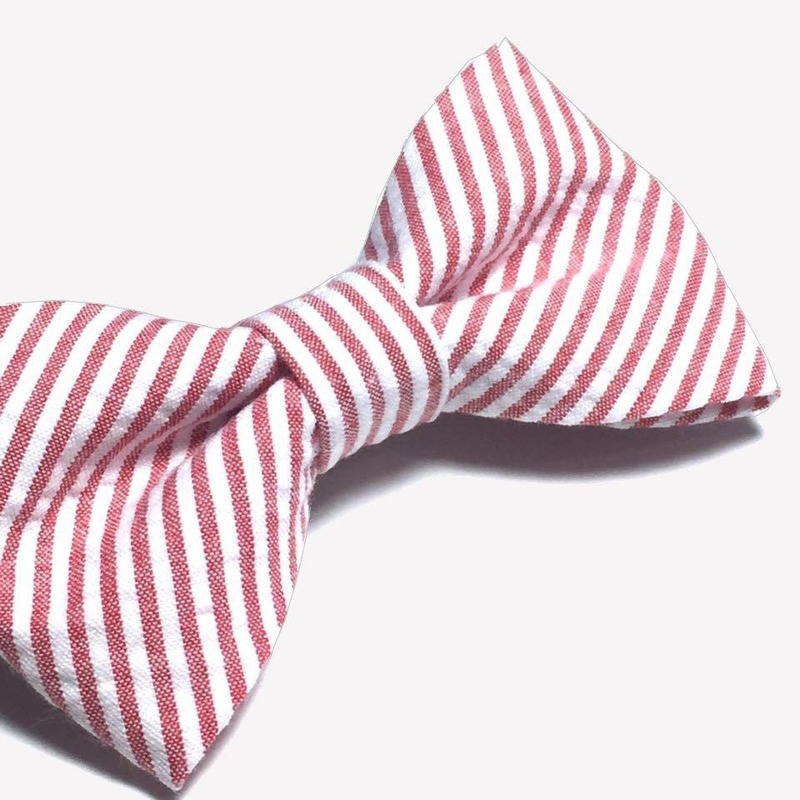 Bow ties are a perfect accessory to dress up any outfit. 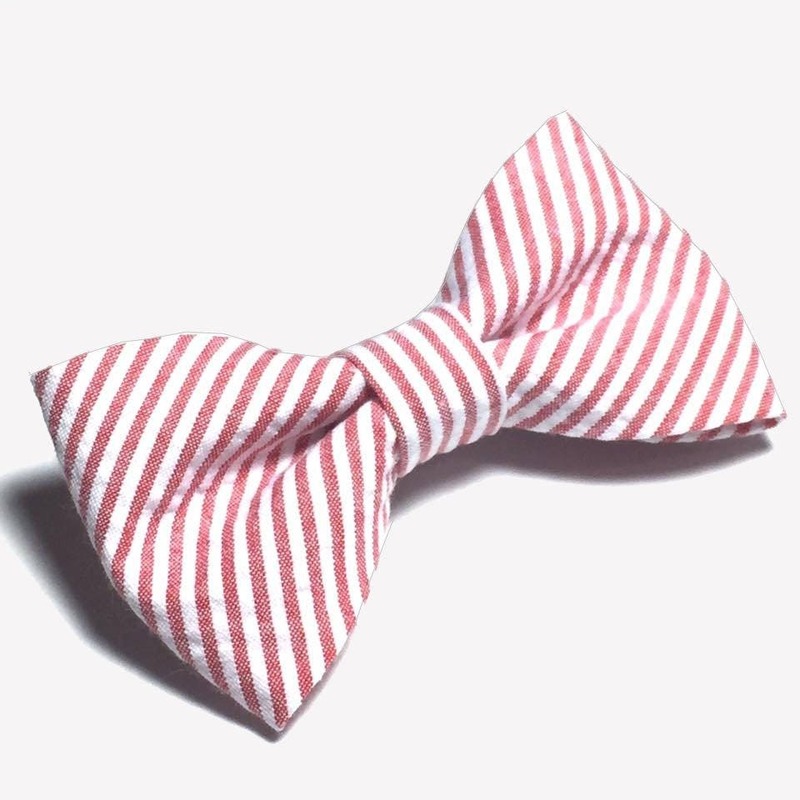 Suitable for a formal or casual wear. 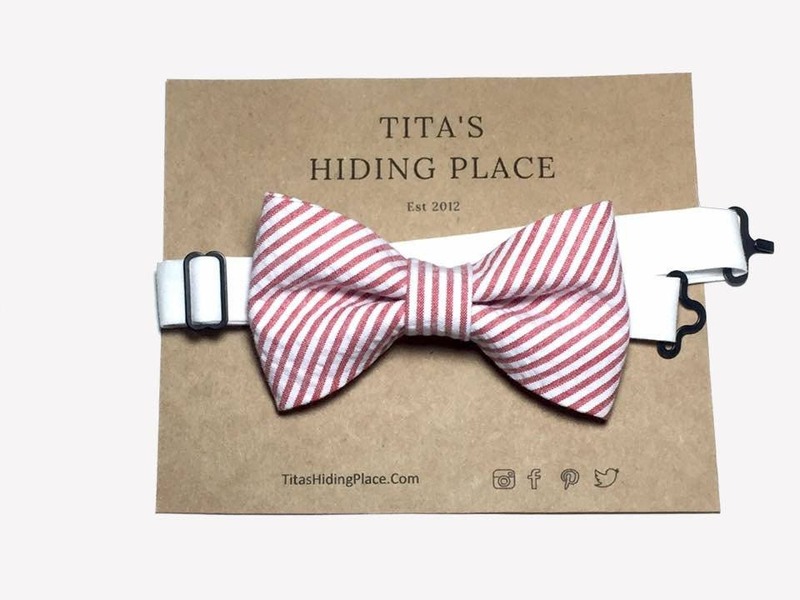 Bow tie comes with an adjustable solid cotton strap and metal hardware.